Get an edge, and keep it. A snug, sock-like upper and midfoot 3-Stripes support your every step. That gives you the freedom you need to outwork your opponent and the protection to attack with confidence. The breathable mesh upper includes a flexible TPU 3-Stripes integrated into the side panel that supports and moves with you. 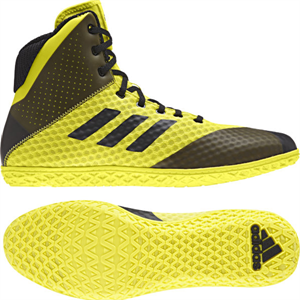 EVA midsole wedge to cushion and help you maintain perfect attack stance. Rubber outsole delivers aggressive traction and natural flexibility.